Radio One, Inc. is the proud media sponsor of the Smithsonian's National Museum of African American History & Culture (NMAAHC) that officially opened Saturday, September 24, 2016. 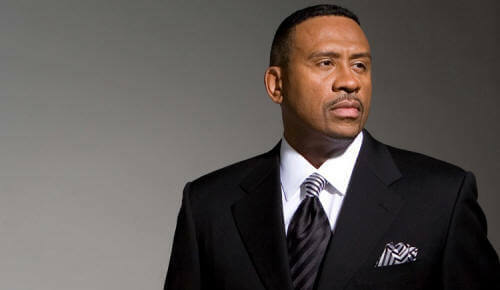 As the largest African American owned multi-media company in the country, Radio One, Inc. is the media company uniquely capable of delivering promotional support and coverage of this week's festivities through its robust urban radio, television, digital media and branded content agency footprint that reaches over 82% of Black Americans. With a shared commitment to the African American community and profound respect for the rich heritage and contributions of Blacks in America, Radio One and NMAAHC joined forces to launch the campaign, "A People's Journey a Nation's Story." The campaign is filled with compelling creative, designed for effective radio, television, digital and social execution through TV One, Interactive One, Reach Media and One Solution. Beginning in early September at the Tom Joyner Family Reunion in Florida, NMAAHC reached over 50,000 attendees. The museum also launched its NMAAHC Giving Day, a 24-hour, online social media driven campaign to encourage donations to support future programming and exhibitions, across all Radio One assets. The robust media plan spans Reach Media's syndicated shows with talents Tom Joyner, DL Hughley, Rickey Smiley, Russ Parr, Rev. Al Sharpton and Erica Campbell. Custom digital content appears on Interactive One's NewsOne.com and HelloBeautiful.com. A media flight can be heard on Radio One stations in Philadelphia, Baltimore, Washington DC, Richmond and Charlotte, in addition to being seen on TV One. News One Now with Roland Martin will provide special coverage of the event, while radio celebrity talent, Donnie Simpson of MAJIC 102.3FM hosted several events this week. Alfred Liggins, CEO, Radio One, Inc. said, "Radio One couldn't be more proud to support the opening of the NMAAHC. Being able to share this story and have a small part in how history will record this monumental moment in our country's history is our honor and quite honestly our responsibility." "Radio One has a long history of service to Black America," said Lonnie G. Bunch III, founding director of the museum. "Their support as our media sponsor enabled the museum to elevate our exposure and reach more people during this historically significant moment." 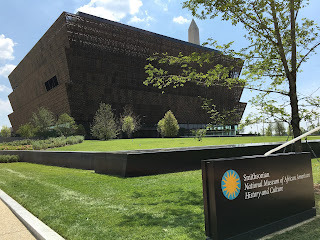 The National Museum of African American History and Culture was established as the 19th Smithsonian museum by an Act of Congress through legislation signed into law by President George W. Bush in 2003. Groundbreaking occurred in 2012. The museum occupies a prime location in Washington, D.C., on the National Mall at Constitution Avenue at 14th Street, on a five-acre site adjacent to the Washington Monument. The nearly 400,000-square-foot museum is the nation's largest and most comprehensive cultural destination devoted exclusively to exploring, documenting and showcasing the African American experience.